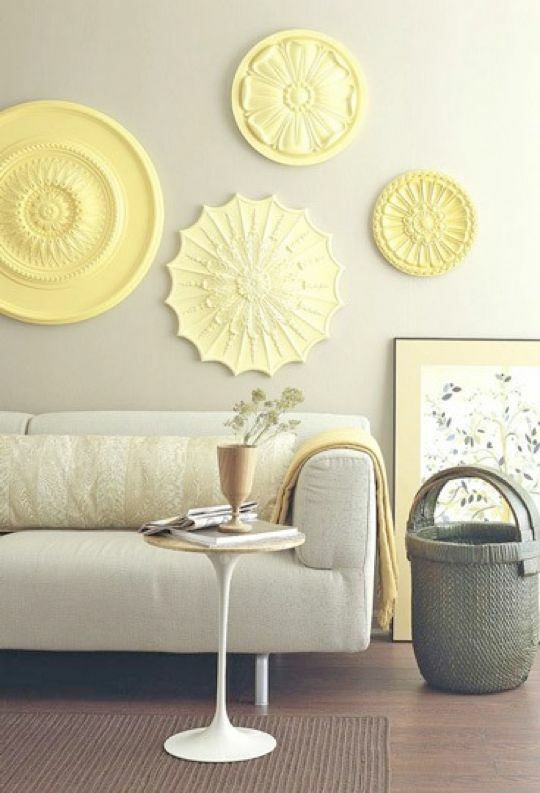 Add some freshness and positivity to your room decor with these yellow room decor ideas. 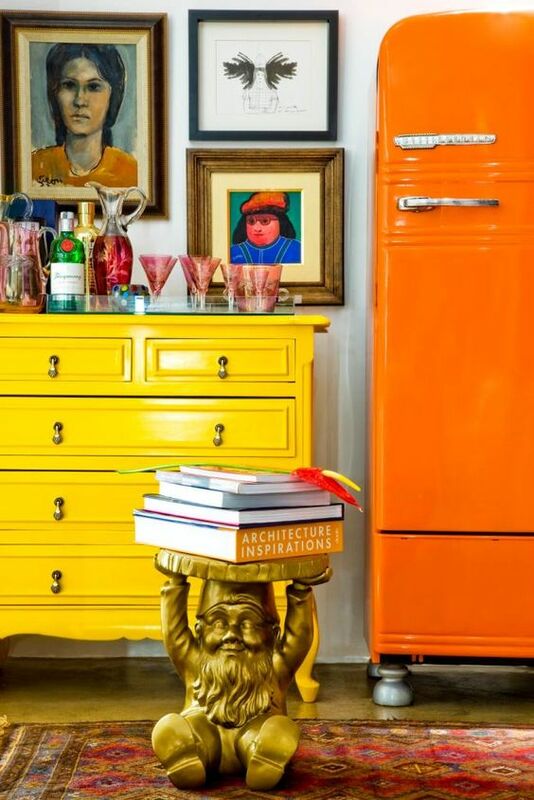 Get ready to see yellow rooms all over the internet, from bright lemon yellow to honey hues. Don't be scared and add this invigorating shade to your home decor for a burst of sunshine and energy. At LANGRIA, we have compiled our favorite yellow room inspiration home decors, but first, let's dig in in the meaning of the color yellow. Yellow is associated with joy, happiness, and energy, and it is the color of sunshine. However, it has a double meaning. On the one hand, it is a cheerful and optimistic color that brings freshness to one's life. On the other side, it is said to also represent jealousy and deceit. (Learn more about the meaning of the color yellow ) We like to focus on the positive, as it weighs more than the negative meaning of this color. Yellow produces a warming effect, stimulates the mental activity and it is a cheerful color -that is why many kid's toys use this color. "A splash of yellow adds warmth and life to a room, even if it's something as simple as a small vase of yellow flowers." Judith Balis. And now, our top 15 yellow room decor and accents that will bring positive energy to your home. [caption id="" align="aligncenter" width="319"] source: Pinterest[/caption] We said it before, yellow is bright and cheerful, like the sun. Combine it with nautic dark blue and white accents and you will have the most perfect sailing style room! Ahoy! [caption id="" align="aligncenter" width="564"] source: Pinterest[/caption] If you prefer a sophisticated yet beachy style for your vacation home by the coast, combine yellow with neutral tones, such as beige or white and add striped fabric (see above on the bedroom and the lounge chair). The room will still look very lively and fun with the right amount of elegance. 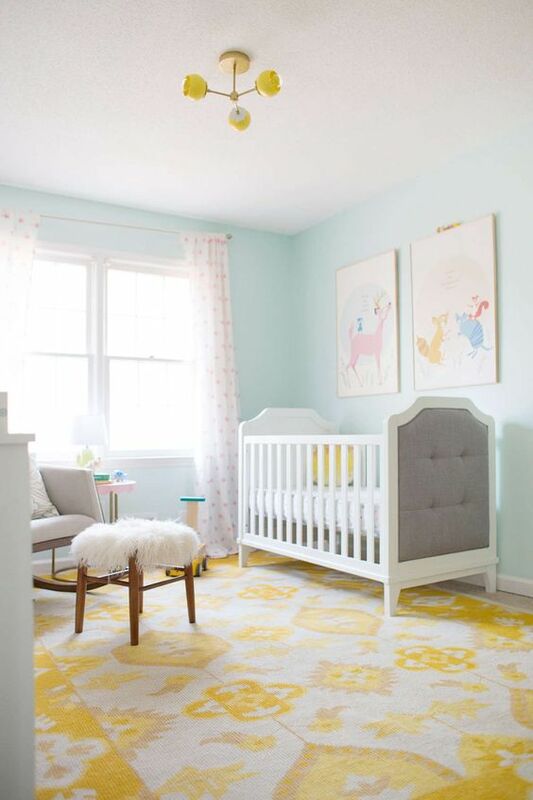 A perfect neutral color for your nursery room is... yellow! 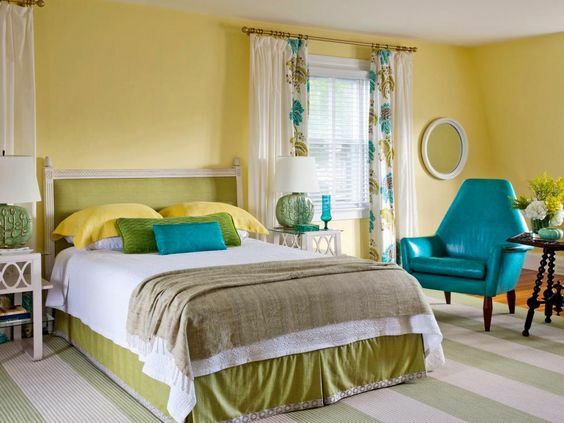 A yellow room is perfect for men and women. If you want to escape from traditional blue for boys and pink for girls nursery room, give yellow a try. 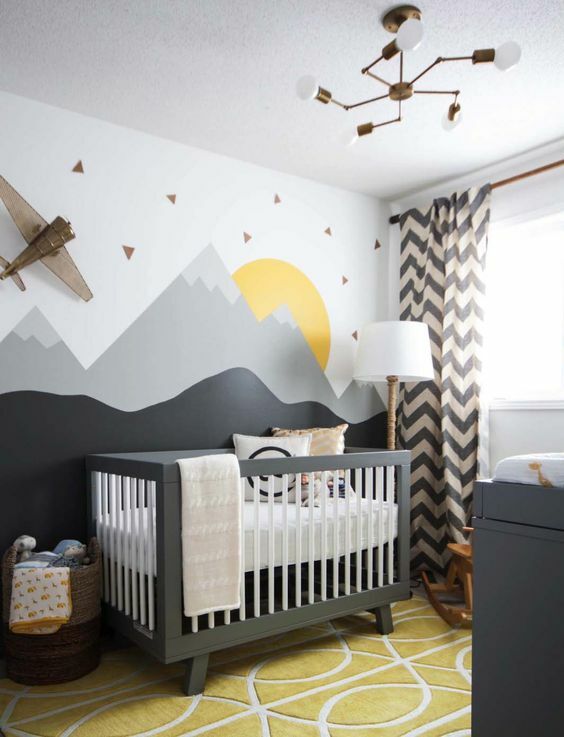 However, avoid too much bright shades of yellow, which can be too energizing for the nursery. 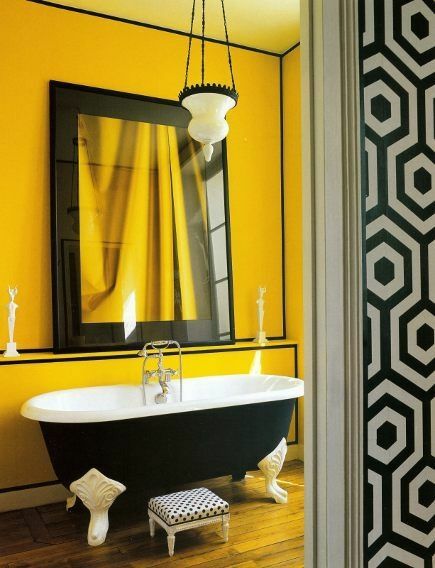 You can have a few accents in bright yellow, but it is best to avoid bright yellow walls. 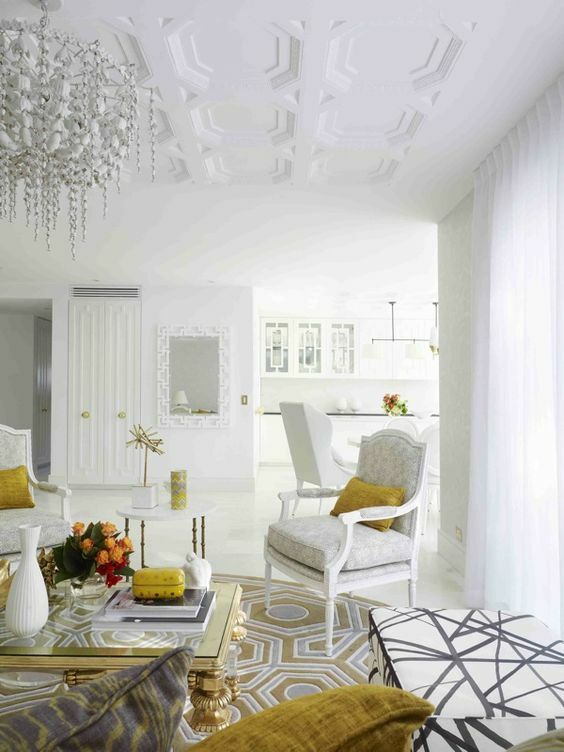 Instead, go for pale yellow hues or combine with other calm colors such as gray. 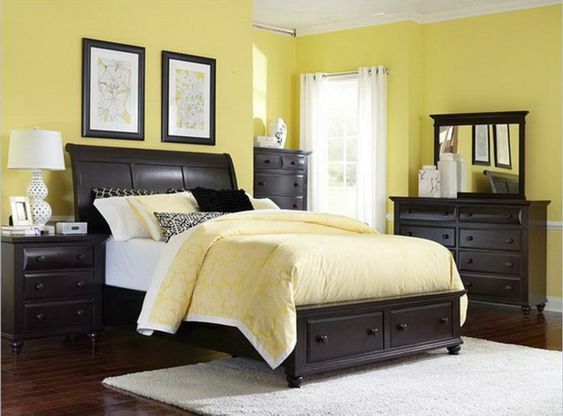 [caption id="" align="aligncenter" width="564"] source: Pinterest[/caption] [caption id="" align="aligncenter" width="564"] source: Pinterest[/caption] How do you feel about yellow rooms? Would you give it a try? If you want to find more inspiring yellow room decor ideas for all the rooms in the house, have a look at our LANGRIA Pinterest board "Yellow Room Decor Ideas".